We’ve already seen one look at the new Justice League Action in … well, action, so when can we expect the official debut? As early as December, now that Cartoon Network confirms a four-part series premiere along with a brand-new clip featuring Superman and Wonder Woman. In “Shazam Slam,” the villainous Black Adam battles Batman on the Rock of Eternity and unleashes a horde of Djinn determined to turn the Earth back to its pre-human, volcanic state. Affected by the otherworldly powers of these primordial monsters, Batman becomes possessed and is turned into a giant flying Batmonster laying waste to the Hall of Justice, with only Superman capable of taking the fight to the Dark Knight. One by one, the Justice League - with the help of Shazam (voiced by Sean Astin) and The Wizard (voiced by Carl Reiner) - must hunt down and defeat each Djinn in order to yet again save the world from destruction. In addition to the clip above, and already-announced returns for original Batman voice actors Kevin Conroy and Mark Hamill, the new Justice League Action features among its voice cast Patton Oswalt (Space Cabby), Ken Jeong (Toyman), Hannibal Buress (Mr. Terrific), Diedrich Bader (Booster Gold), James Woods (Lex Luthor), Rachel Kimsey (Wonder Woman), Jason Lewis (Superman), John DiMaggio (Lobo), Sean Astin (Shazam), and even Legend of Korra star P.J. Byrne as Firestorm. Teen Titans Go! alum Sam Register will act as the show’s executive producer, along with Justice League and Batman Beyond vet Butch Lukic, Batman: The Animated Series’ Alan Burnett and Green Lantern: The Animated Series vet Jim Krieg as producers. 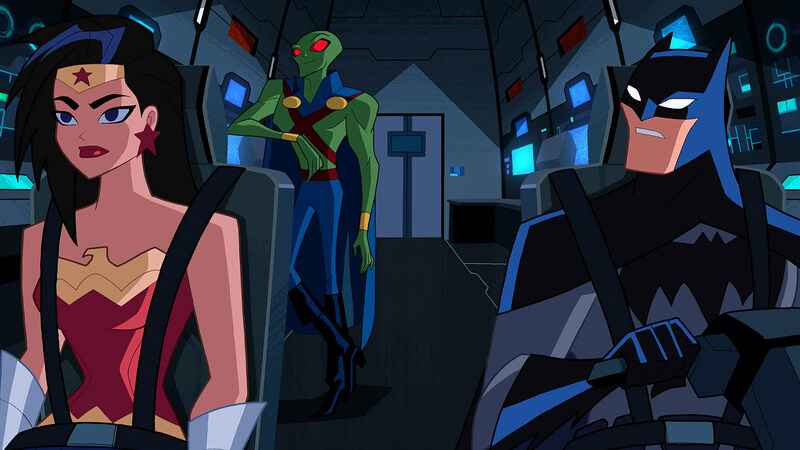 In the meantime, check out the first Justice League Action trailer below.